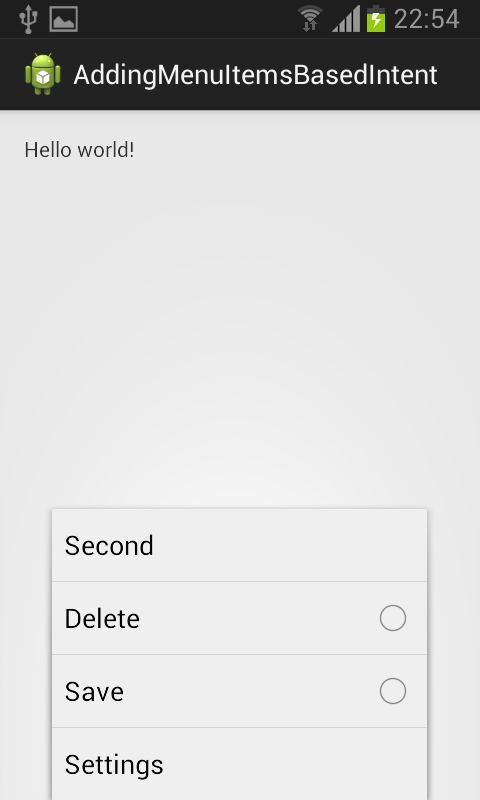 Here is source code of the Program to Demonstrate Adding Menu Items Based on an Intent in Android. The program is successfully compiled and run on a Windows system using Eclipse Ide. The program output is also shown below.